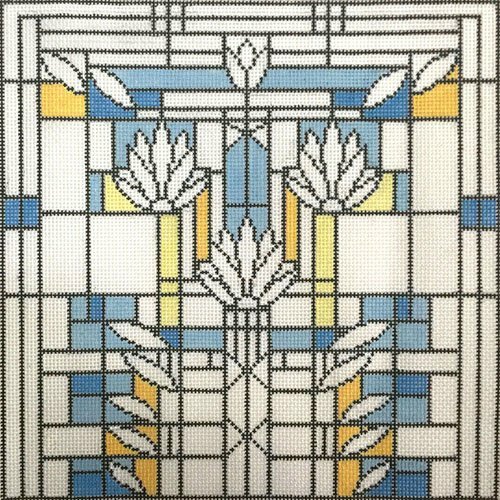 Waterlilies Window is a needlepoint design based on a Frank Lloyd Wright creation. This arts and crafts movement style design is by Alice Peterson AP2896. The design is handpainted onto 13 mesh mono needlepoint canvas and it is a small and easy needlework project suitable for those starting out as well as seasoned stitchers. If you want to hold the canvas taut on stretcher bars while you stitch it then we recommend two pair of 14" plus some thumb tacks.